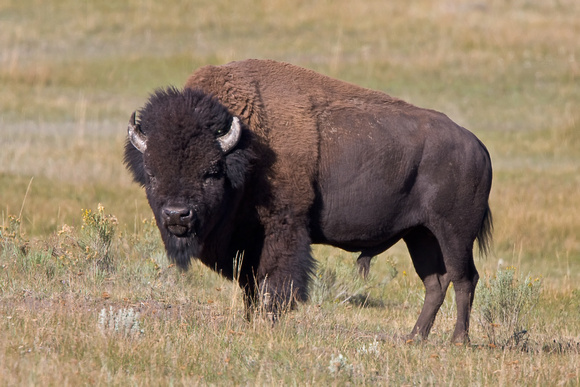 The American bison is a species of large ungulates that are not related to true buffalo species such as the African and the Asian water buffaloes. Their huge, bulky frame is emphasized by a towering hump on their shoulder while their massive head, featuring a wide forehead, a pair of up-curving horns, and straggly facial beard rests on a short, compact neck. 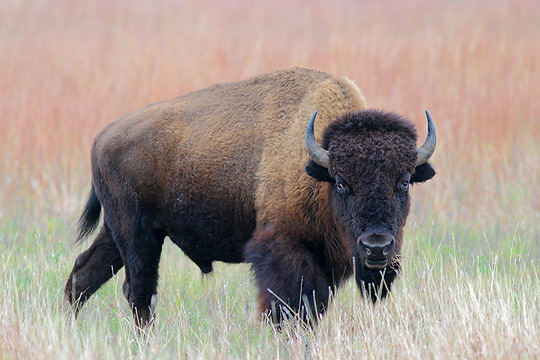 About two centuries ago, there was around 40 million North American bison that wandered in large herds over the American grasslands. However, due to a spread of bovine diseases as well as hunting by the Native Americans and the European settlers in the 19th century, their population declined rapidly, and they were on the verge of extinction. 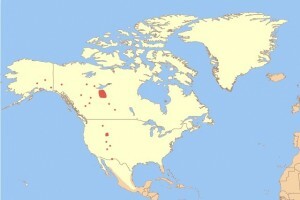 Today, their native range is restricted to some wildlife reserves and national parks. 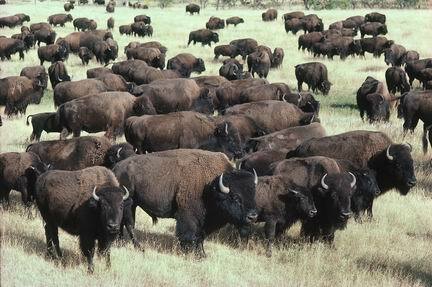 American bison are migratory, moving an average distance of 3.2 km each day. 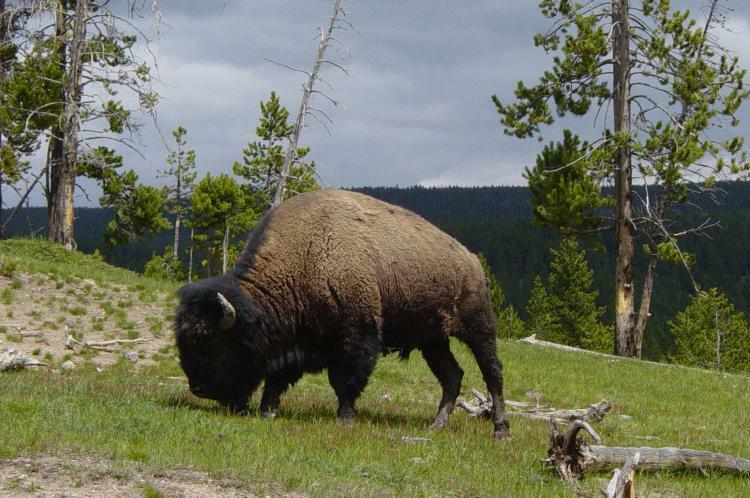 Their directional and sometimes altitudinal movements vary according to the size of foraging sites, as well as changes in seasonal vegetation. These diurnal animals intermittently graze and chew cud throughout a day. 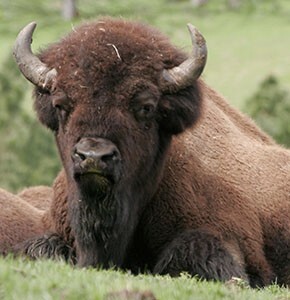 In fall and winter, the bison assemble in wooded areas where they rub horns against young saplings and trees that emit aroma to keep off insects. During summer, they take part in wallowing that is rolling in shallow depressions on the ground to put dirt and mud into their coat. This is done possibly to protect against heat, reduce skin irritation caused by biting insects, or remove tick and lice. Most males, which are otherwise solitary or in bachelor herds, join the female groups and search for a mate during the breeding season. 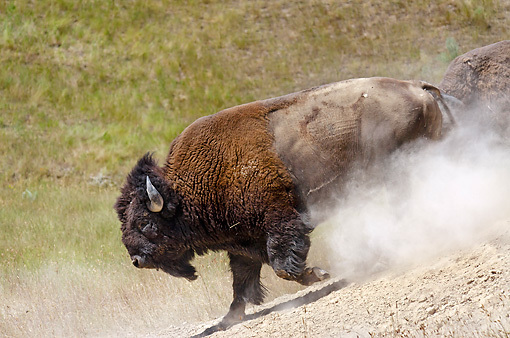 The dominant bulls follow the cows around and fight rival males to get mating access. 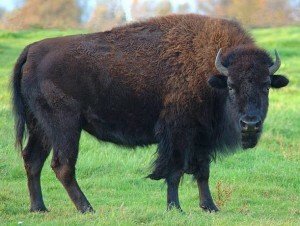 Mating takes place during the first 2 to 3 weeks of the breeding season lasting between June and September. American bison give birth to their young ones in the spring following the gestation period. 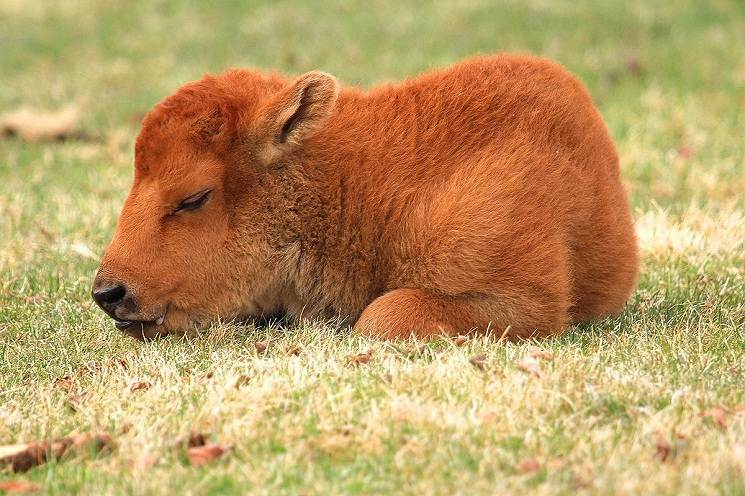 The newborn calves are capable of walking and running within a few hours after birth but are guarded and protected by their mothers. 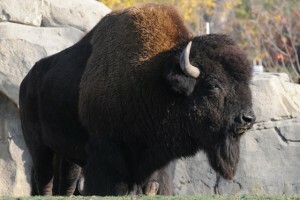 Weaned at around 7-9 months, the juvenile female bison reach sexual maturity at 2-4 years while the males at 6 years. Though the American bison is not specifically an high-altitude animal, the Henry Mountains bison herd and Yellowstone Park bison herd are typically found at an altitude of more than 8,000 feet. 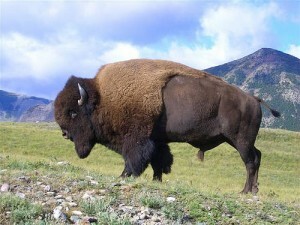 The Native Americans consider the bison a sacred animal and use it as an iconic representation of their religion. In the US, the American bison is used in official logos, flags, and seals. 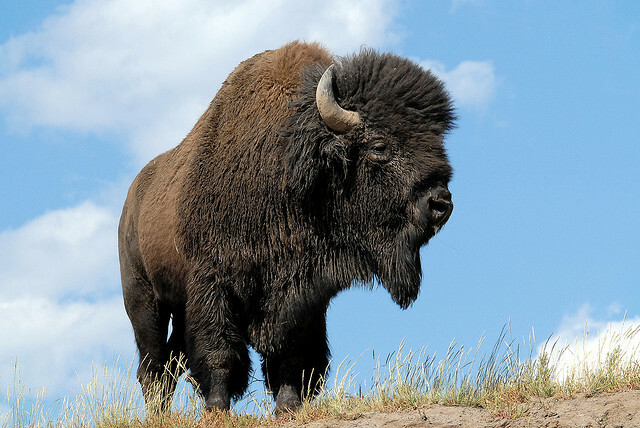 The heaviest bull in the wild weighed 2,800 lbs (1,270 kg); when bred in captivity for meat, bisons grow very heavy with the largest recorded bison weighing 3,801 lbs (1,724 kg). Published on March 29th 2016 by admin under Coniferous Forest Animals. Article was last reviewed on 29th March 2016.